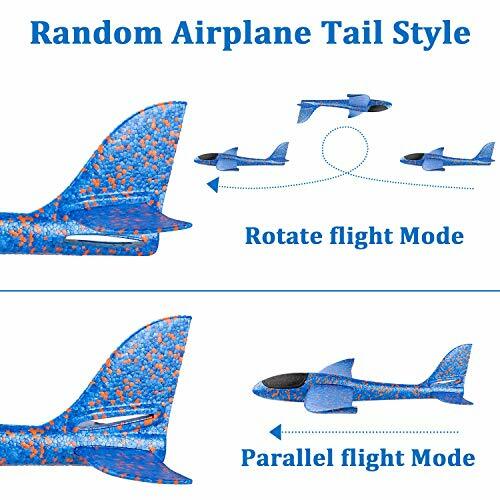 High-quality Material: Our foam aircraft toys made of environmentally foam. This material is very resistant to impact makes them more durable for children playing. The game of gliders helps promote parent-child relationships. Packing: Throwing airplane glider consists of four parts, such as plane body, black front of plane, wing and tail. Children could assemble and disassemble the planes easily. Also it's beneficial to cultivate practical ability, observation ability and sense of direction. 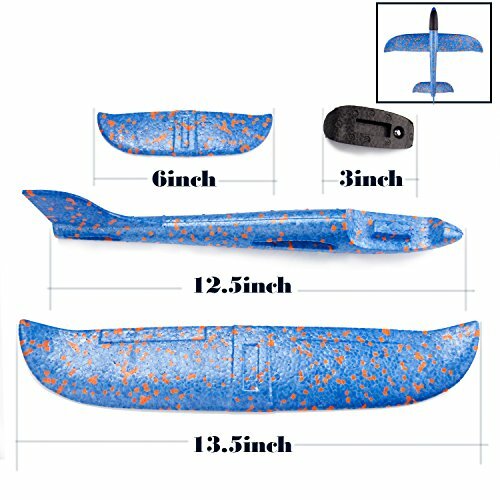 Wide Applications: Wind glider airplane is a great party favor for a family party, kids birthday party, children games party, school party etc. As an entertainment tool, it releases stress and relaxes the mind and body. 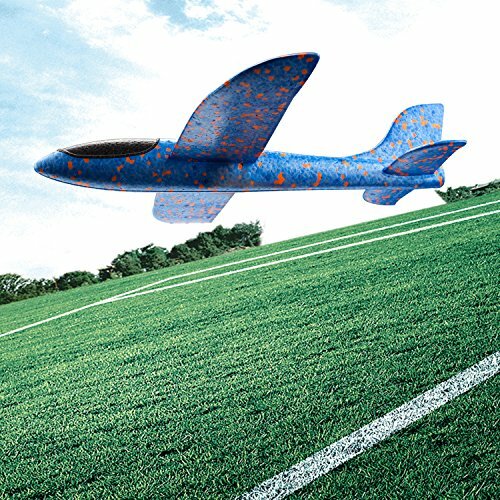 Healthy Game: The child chasing our foam glider airplanes and having fun, it is good for children health. Using flying planes in a wide range of areas to avoid injury to others and damage planes. 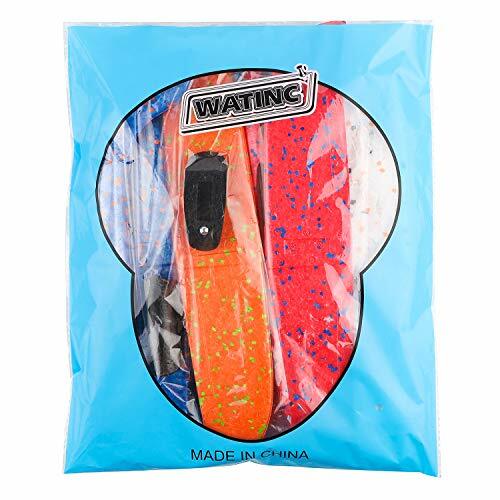 Intimate After-sales Service: If you meet any problems with our foam plane products, please feel free to contact us, we will always be here and solve your problems at once. Hope you will enjoy our products! Party time! Let's enjoy the parent-child or teacher-student time during the funny games! 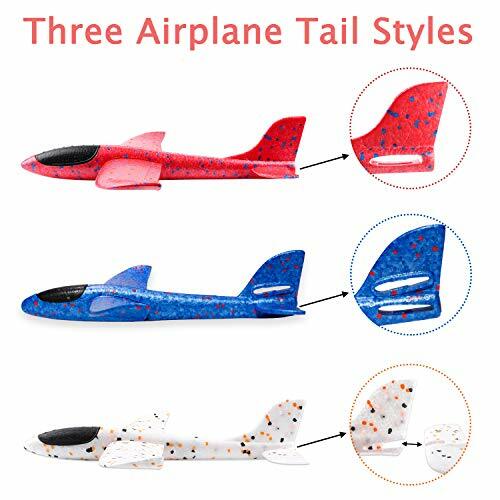 WATINC 4 pieces foam air plane toys are the special and indispensable gift, such as school exchange party, children birthday party, family party, airplane theme party and so on. 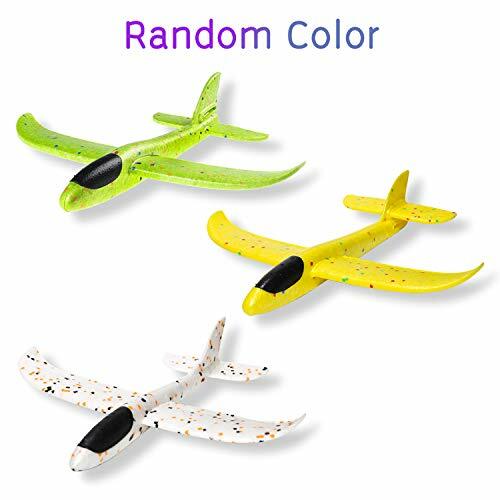 Total four colors gliders in one package. 1. Please be careful not to use for children under 3 years of age. 2. Please gently assemble and use these throwing plane toys. 3. 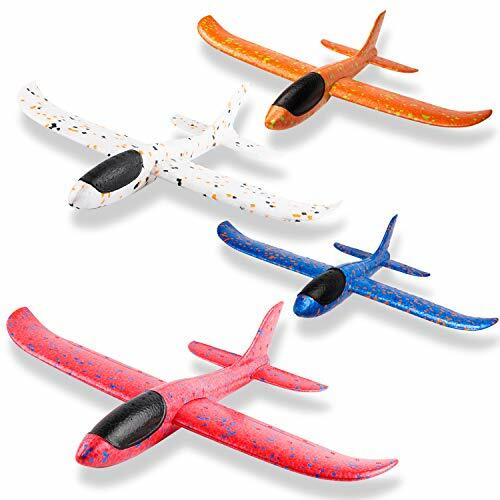 Please playing with toy glider in a open area, such as park, beach, lawn, to avoid injury each others.